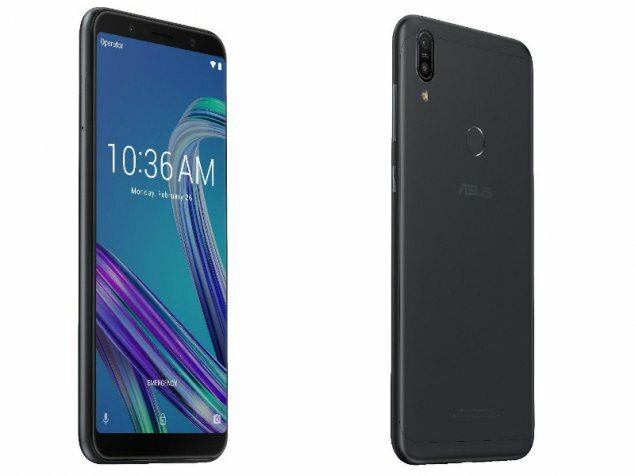 Asus has launched two new budget smartphones – the Zenfone Lite L1 and Zenfone Max M1 – as it tries to become a prominent brand in India’s competitive smartphone market. The company has announced these two devices months after the launch of Zenfone Max Pro M1, which has become one of the best-selling smartphones in the sub-Rs 15,000 price segment. Asus claims to have sold over 1 million Zenfone Max Pro M1 in India and the new devices being launched today will also be available exclusively on Flipkart. According to IDC, India’s smartphone market is primarily driven by strong demand for smartphones in the sub-Rs 10,000 and sub-Rs 15,000 price segment. Xiaomi is the leader here with its Redmi series but it has seen competition from other smartphone makers and most recently from Realme. With the launch of Zenfone Max M1 and Zenfone Lite L1, Asus will be competing against Xiaomi Redmi 6A, Redmi 6 and Realme C1 in the Indian market. The more premium variant of the two, the Asus ZenFone Max M1 (ZB556KL) runs on Android Oreo based on ZenUI 5.0. The dual-SIM device features a 5.45-inch (720×1440 pixels) HD+ IPS display with 18:9 aspect ratio, 400nits brightness, 800:1 contrast ratio, 65 percent NTSC colour gamut, and 82 percent screen-to-body ratio. It is powered by the Snapdragon 430 quad-core processor paired with 3GB RAM. Internal storage is at 32GB, and microSD card expansion is supported up to 256GB. The Asus ZenFone Max M1 (ZB556KL) packs a 4,000mAh battery with support for fast charging with a 10W adapter, and connectivity options include Wi-Fi 80211 b/g/n, Bluetooth v4.0, APGPS, GPS, GLONASS, and more. Sensors on board include accelerometer, e-compass, proximity sensor, ambient light sensor, and gyroscope. Dimensions of the Asus ZenFone Max M1 (ZB556KL) include 147.3×70.9×8.7mm, and it weighs 150 grams. The Asus ZenFone Lite L1 (ZA551KL) sports a 5-megapixel front sensor with f/2.2 aperture, 1.2um pixel size, and LED flash support. It packs 2GB RAM and offers 16GB of internal storage with expansion of up to 256GB via a microSD card slot. It doesn’t support a rear fingerprint sensor, and relies only on Face Unlock for security. It also has a 3,000mAh battery. The dimensions of the Asus ZenFone Lite L1 (ZA551KL) are at 147.26×71.77.8.15mm, and it weighs 140 grams. Other specifications are similar to the Asus ZenFone Max M1 (ZB556KL). Both the smartphones will be available in only one variant, but in two colour options- Black and Gold. The Asus Zenfone Lite L1 has 2GB of RAM and 16GB of internal storage priced at Rs 5,999 (introductory price), while the Zenfone Max M1 with 3GB of RAM and 32GB of internal storage will be available at Rs 8,999, but during the festive season, it will be available for Rs 7,499. Both the phones are available via Flipkart. The original price of the Asus Zenfone Lite L1 is Rs 6,999, but during the festive season, it can be picked up for Rs 5,999. Asus has teamed with Reliance Jio to offer Rs 2,200 cashback and 50GB of additional data to the users. Jio users inserting the Jio 4G SIM card on the smartphone and recharging with either the Rs 198 or Rs 299 prepaid plans will receive a cashback of Rs 2,200 to their MyJio account, and the additional data will also be credited to their account after the recharge. Asus is also offering Flipkart Complete Mobile Protection scheme with both the phones at Rs 399. As an introductory price, the same scheme can be picked up for Rs 99. Learning the way to up start an Company does donrrrt you have to be hard or overwhelming.